In this article, I examine the ways in which “Public Reason” (or public reasons, in plural) can be said to resonate with some types of reasons as presented and defended in contemporary legal theory. I begin by identifying the concept of Public Reason within the context of a discussion sparked by the between “internal” and “external” reasons, which was made famous by Bernard Williams. I will then compare this interpretation of Public Reason with Joseph Raz’s celebrated concept of exclusionary reasons. Next, I refer to two concepts of moral “neutrality” and how such concepts affect our understanding of Public Reason. I also reflect upon whether it is tenable to draw a distinction between the good reasons for actions that we conduct in our own lives and good reasons to be adopted in public life. Finally, I raise the question of a distinction between the reasons which we press in general societal discourse and those that we press in the advocacy-related law-making process. Much of the discussion about “Public Reason”—an ideal supporting a conception of liberal legitimacy under which only such laws are legitimate which are based on reasons endorsable by everyone to whom they apply—concentrates on the “public” ingredient of the concept. The question asked is, how some reasons can be said to be “public,” in the sense that they may command a collective endorsement by a large number of citizens, even if they espouse different moral and philosophical views? The requirement of “publicity” has been understood, from time to time, as demanding that citizens accept and know that others likewise accept certain common principles, or that these principles can be supported by publicly shared methods of reasoning, or that the full and satisfactory justification for such principles can be discerned in the public culture without resorting to controversial, comprehensive, personal conceptions of the good, etc.1 This has arguably been the main issue discussed by both advocates and critics of the ideal of Public Reason. In this article, however, I will concentrate on the noun rather than an adjective and, in doing so, will examine the ways in which “Public Reason” (or public reasons, in plural) can be said to resonate with some types of reasons—rather than others—as presented and defended in contemporary legal theory. I will begin by identifying the concept of Public Reason within the context of a discussion sparked by the distinction between “internal” and “external” reasons, which was made famous by Bernard Williams (part 1). I will then compare this interpretation of Public Reason with Joseph Raz’s celebrated concept of exclusionary reasons (part 2). In part 3, I will refer to two concepts of moral “neutrality” and how such concepts affect our understanding of Public Reason. In part 4, I will reflect upon whether it is tenable to draw a distinction between the good reasons for actions that we conduct in our own lives and good reasons to be adopted in public life. Finally, in part 5, I will raise the question of a distinction between the reasons which we press in general societal discourse and those that we press in the advocacy-related law-making process. Public Reason is therefore narrower than the concept of public justification. To be sure, under some—typically, Kantian in their philosophical provenance—understandings of public justification it is coextensive with Public Reason. Such is, for instance, an interpretation adopted by Pavlos Elefthariadis in his Legal Reasons—a book articulating a Kantian-Rawlsian understanding of legal rights as expressions of equal citizenship justified by appeal to Public Reason. As Elefthariadis urges, “Public, as opposed to private, justification means an argument that can be reasonably endorsed by others who disagree with us. It suggests an effort to find common ground on one issue, while respecting our mutual differences in others.”5 As a normative theory, a directive that public justification should rely on reasons acceptable to others is unimpeachable. This is, in fact, the main idea adopted by the dominant, Rawlsian, conception of Public Reason. But as a definition of “public justification,” it is unhelpfully narrow. There may be views about public justification which do not endorse the ideal of Public Reason but which may be authoritarian, paternalistic, or moralistic in ways that do not boil down to search for the “common grounds” in justification and yet are also “public” and “justificatory” in their requisite senses. Thus, whether they are attractive or not, as a moral and political ideal, is a matter of a substantive argument, and no conceptual clarity is achieved by narrowing down the very concept of “public justification” in this way. However, as announced before, this article will put these controversies to one side and focus on the “reasons” rather than on the “public” in Public Reason. The discussion about the nature of reasons which figure in a conception of Public Reason may indicate that there is some resonance between the reason-constraining theory (such as Public Reason) and the well-known philosophical debate about “internal” versus “external” reasons. The debate, with respect to which Gerald Gaus has rather caustically but not entirely accurately said: “it is…not clear precisely what the debate really is,”6 has been in recent decades sparked by Bernard Williams’s famous thesis which suggested that basically, all reasons for action are “internal,” in the sense that they depend upon an individual’s motivational set—upon his or her own desires, projects, and beliefs. This thesis also resonates with Gilbert Harman’s idea of “inner judgments” and their connection with reasons of action. Accordingly, these two theories—insofar as they are relevant to Public Reason—will be discussed in turn. For something to be a reason for As action, as Bernard Williams has claimed, A must have “some motive which will be served or furthered by his” action.7 To talk about purely “external reasons”—reasons which are not related in any way to “As existing motivations”8 and the statement of which “can be true independently of the agent’s motivations”9—is, for Williams, a misnomer and incoherent (to paraphrase briefly his subtle argument). The way in which this debate connects with the idea of Public Reason (a concept not used by Williams himself in this context) is that, by justifying and legitimizing authoritative rules, the idea of Public Reason appeals to reasons (ideals, preferences, values) which subjects (to whom the rules apply) already accept, or at least that they are presented as ideas which are acceptable to them. The italicized words in my previous sentence suggest immediately one of the main strategies of refuting the idea of Public Reason. If there is a gap between “acceptance” and “acceptability” (and there must be, otherwise the latter term would be superfluous) then it must be bridged by the values of an external observer, who would essentially dictate what a subject should accept. This argument, namely that “acceptability” has only a tenuous connection with the subject’s actual acceptance, may be translated into the language of “external reasons.” By attributing allegedly “acceptable” reasons to a subject, the theory (the argument may go) collapses into “external reasons” which, according to Williams, is an incoherent idea. He posits that while we may find that an agent who lacks certain motivations “is inconsiderate, or cruel, or selfish, or imprudent; or that things, and he, would be a lot nicer if he were so motivated,”10 we cannot eo ipso determine that he or she has “reasons” to act in such a manner. Also, “personal loyalties, and various projects...embodying commitments of the agent,” as stated by Williams18, significantly—but very plausibly—expand the motivational set range. This category captures, inter alia, what Robert Goodin has termed “reciprocal forbearances.” These occur when “each agrees to forgo his opportunities for gain at the other’s expense, on the condition that the other likewise forgoes opportunities for gaining at his expense”.19 Such self-restraint may be less visible than an explicitly declared first-order reason but surely should, under a plausible theory of rational action, displace the latter. It must be noted that there may also exist reasons which are not explicitly espoused but which are only detectable through an individual’s conduct. This may extend to an individual’s implicit preferences which are discernible in human action rather than in his/her statements and which may be closer to their “true” moral position. A person may be strategic, or simply insincere, in his or her declarations and announcements: acts usually speak louder than words. All ingredients of a “motivational set” are ultimately far less determinate than the expressly declared first-order preferences of an individual but, as explored above, this need not be viewed as a drawback of the conception. Admittedly, it is merely a tentative point that second-order preferences, such as implicit preference for preferences, may be closer to the true moral positions of an individual than the easily discernible first-order preferences. This may not necessarily be self-evident and it is unclear what the appropriate standard would be with regard to which of the conflicting preferences of an individual are truly hers. One method of conceptualizing this distinction is to assume that the conflict between first-order and second-order preferences correlates with a conflict between passion and reason. Once we articulate the distinction in such a way, it is immediately evident why it is problematic. Firstly, it is not necessarily the case that first-order preferences always (perhaps not even often) correspond to “passion,” and that second-order preferences correspond to “reason.” Second, we need a compelling normative theory which attributes a moral preference to reason over passion. Evidently, this is an extremely tough task. In response, a weak proposition can be made that is based on the force of examples of pre-commitments. Here, individuals would ordinarily (and morally speaking, correctly) believe that the “last voice” attributed to an individual should be the one that he or she uttered at the point of pre-commitment rather than at the later point when they seek to renounce their pre-commitment. Accordingly, we must respect Ulysses and his actions in tying himself to the mast and strictly ordering his crew not to untie him even in the instance that he begged to be removed. It was precisely to avert the anticipated catastrophe that Ulysses wished to be tied to the mast. However, it should be noted that counter-examples also exist and that in at least some instances, we may wish to be able to recall our pre-commitments, even to alter our initial risk calculus, and this is where the priority of pre-commitments becomes doubtful. The second point that Williams makes is that of the “sound deliberative route.” This makes reference to the fact that while the road from X-1 to X-2 may be quite lengthy, it is nonetheless a route which must be traveled (by an agent) and monitored (by an observer). This is necessary to understand whether the reasons that are “acceptable” to an individual are not too far removed from those that are actually accepted in practice. Through this process, a number of reasons will be added to the set X-1 and some will be discarded. For instance, akin to Monsieur Jourdain discovering his prose, many agents may find out that they are—in reality—secularists if they subject their other actual values to an exercise of generalization and then attempt to establish uniformity throughout the different ingredients of their overall moral position. An example provided by Bernard Williams is about the case where we discard certain initial reasons for action after engaging in a test of error of facts. A person thinks that he wants to drink a glass of (what he believes to be) gin but there is, in fact, petrol in the glass. The person does not wish to drink the liquid in the glass; what he wants is gin and not whatever-is-in-this-glass.20 As this example demonstrates, correcting for errors of fact is rather uncontroversial. Where a reason, for its validity in the eyes of the agent, is dependent upon the statement of facts and this statement is clearly false (consider John Stuart Mill’s example of a person who is ignorant of the fact that the bridge upon which she is about to step is unsafe),21 then the reason is fatally tainted with invalidity. Another way of conceptualizing Williams’ gin and Mills’ bridge example is to distinguish, pace Donald Regan, between “ultimate” and “instrumental” preferences. Regan’s example is of Jones’s willingness to go to Chicago (an instrumental preference) in order to see his friend Brown (the ultimate preference).22 Accordingly, if Brown is, in fact, in Los Angeles, then (assuming that Jones was sincere in declaring the reason for his intended trip) there is no problem in disregarding his instrumental preference of going to Chicago as it is the ultimate preference which corresponds with his real reasons for action. There are limits to this laundering. Accordingly, there are limits to our ability to close the gap between actual acceptance and acceptability. In this way, a theory of Public Reason may gain from Williams’s “internalist” theory of reasons. Public Reason must engage with the actual values of the individual over whom the legitimacy for coercive political action shall be claimed, subject to at least two laundering devices available in Williams’ theory: a broad understanding of the motivational set and a long “deliberative route” which allows, inter alia, for corrections of errors of fact and of reasoning. I do not seek to suggest that all exclusionary reasons in Raz’s sense are public reasons, but that public reasons, insofar as they are reasons for action (rather than simply reasons contemplated in a general discourse) belong to a category of exclusionary reasons because they exclude reasons for action that would otherwise be considered as relevant and pertinent. One scholar who has usefully employed Raz’s concept of second-order reasons to discuss principles of justice in the context of diversity of first-order reasons is Jeremy Waldron. He states that “one’s views about justice are usually conclusions about the first-order reasons…for society’s distributing rights and resources in certain ways. Once one becomes aware that those views are not shared by everyone in society, one acquires a second-order reason not to act peremptorily – at least not in the name of the whole society – on the basis of one’s own estimate of those first-order reasons.”28 Waldron, no friend of the idea of Public Reason himself,29 has aptly characterized the move from first-order to second-order reasons triggered by the fact of moral diversity, and—accordingly—we may add that the concept of Public Reason can be seen as one particular type of second-order reason that is required by that position. Incidentally, insofar as Public Reason operates in the field of public discourse—the discourse about advancing, defending, and rejecting proposals for binding laws—it may not be seen as strictly matching the Razian notion of exclusionary reasons, which are reasons for action and not for contemplation or discussion of certain actions. Criticizing one of his critics for alleged misrepresentation of the concept, Raz points out that the critic, Stephen Darwall, focused a considerable proportion of his discussion regarding exclusionary reasons “on the case for or against considering certain matters, which is irrelevant to the issue [of exclusionary reasons].”30 To be sure, in an earlier work, Raz had admitted that he himself may have had contributed to the confusion, which consisted in the mistaken thinking of exclusionary reasons as reasons “to avoid thinking, considering, or attending to certain matters.”31 However, in the case of Public Reason, drawing a distinction between reasons for considering certain matters and reasons for action would be pedantic. This is because matters that are “considered” in the realm covered by Public Reason are actions of a particular kind, namely, adopting coercive laws binding on citizens. Considerations of such legislative proposals are actions in a meaningful sense of the word—they may be seen as certain stages of legislative process. Whether they can be distinguished (as a theory of Public Reason claims they should) from a mere discussion, carried on without any legislative actions in mind, is something which is considered in the final section of this article. In one of his statements of exclusionary reasons, focusing on their preemptive character, Raz identified two ways in which authoritative directives “are not beyond challenge.”32 First, they may stop short of stating conclusively what should be done in certain circumstances and merely determine “what ought to be done on the basis of certain considerations.”33 For instance, they may determine what should be done on the basis of economic considerations, without replacing any non-economic considerations. This can be translated into a hypothetical norm of the character: “if a decision is to be taken on economic grounds, this is what should be done.” Secondly, and more relevant to our interests, “the authority may direct that the final decision must be based on economic considerations only, thus replacing all but the economic factors.”34 Here, the preemptive nature of the consideration is addressed against a particular category of considerations—specifically, in this example, all non-economic considerations—rather than specific reasons displaced by an exclusionary reason. Accordingly, this process identifies a type of consideration which holds the potential to trigger a decision and hence displaces the whole classes of reasons for decisions, which are consequently ruled out. This second example provided by Raz points to the manner in which the ideal of Public Reason may be contemplated. It identifies the types of reasons that “the final decision must be based on,” or, in a negative formulation, the types of reasons that the governmental decision must not rest on. It is vital—for the sake of our description—that those reasons which are excluded by the ideal of Public Reason are attractive and important in the first place; hence, such reasons are not excluded because they are insignificant. If the Public Reason ideal excludes reasons for action which are sectarian in a religious or moral sense, it does not follow that they are excluded because of their limited importance. As Raz states with regard to exclusionary reasons in general: “the very point of an exclusionary reason is to exclude acting for another consideration which is a valid reason for action…. Their entire point will be lost if what is denied one are actions or possessions one has no reason to take or cherish.”35 The importance of this observation, extrapolated into the domain of Public Reason, cannot be overestimated. Unless we assume that the balance of “non-public” reasons in a given controversy produce strong and compelling instruction as to which law to advocate and which law to criticize, the ideal of Public Reason would have no critical edge. The above statements do not seek to suggest that we normally proceed in two stages: that we firstly identify an instruction based on all the reasons that we find relevant and pertinent, public and non-public-alike, and only then do we modify the outcome by disabling non-public reasons from affecting the outcome. Rather, when we give effect to the principle of Public Reason, we screen off non-public reasons at the stage of reasoning about the balance of reasons and, accordingly, consider only public reasons in reaching a moral conclusion. But this psychological reality is irrelevant for the modeling of a normative scheme for the operation of Public Reason. For the sake of moral representation of the Public Reason–compatible reasoning about law, it may be presented in two stages: as a modification of a conclusion reached antecedently, when non-public reasons were allowed into the argument. In the discussions regarding the substance of liberal neutrality, a distinction has often been made between neutrality with regard to effects of a policy and neutrality with regard to the intentions of a policy-maker. With respect to neutrality regarding the effects of a policy, a policy is neutral if it contributes equally to the success of adherents to different conceptions of the good, or under a different formula, to the likelihood that different conceptions will be chosen in the society. Neutrality with regard to the intentions of a policy-maker claims—under a broadest articulation (which I will explore in greater detail in a moment)—that a policy is neutral if it is triggered by intentions, which do not assume that one conception is superior to other alternatives. The former branch of neutrality has been dubbed as concerning outputs while the latter focuses on the “inputs.38 At this stage, it is sufficient to say that a conventional (and convincing) approach to these two branches of neutrality is that the neutrality of effects is both impossible and undesirable.39 Mutatis mutandis, Public Reason is a conception about “inputs,” except insofar as the “outputs” may serve as a reliable indicator of the inputs, which are often less, easily discernible in comparison to their relative inputs. However, the literature on liberal neutrality further distinguishes (in a manner that is helpful in theorizing about Public Reason) between two types of “input” theory. Intentions may be viewed under the prism of the aims for a policy or its justification (procedure).40 To put it from a negative angle: a policy may be non-neutral either because it aims at privileging a particular conception of the good over another, or because—in its justification—it relies upon a superiority of a particular conception of the good over others. Accordingly, we may have conceptions which are aim-neutral but not justification-neutral. Richard Arneson provides an example: subscribing to religious tolerance for all faiths because it is a principle of the only true religion, for example Quakerism. Vice versa, we may have conceptions which are non-neutral with regard to the aim but neutral with regard to justification, as for instance in the case of the establishment of a dominant religion justified by an argument that it will strengthen civil peace.41 If we apply this distinction to the ideal of Public Reason, it is clear that, strictly speaking, it concerns justification rather than the sort of aims which are admissible in the argument in favor of a particular law. However, the distinction between “justification” and the “aim” for a law is highly contrived. Justifications for the laws will usually refer to the aims to be promoted by the laws. Although one may think of admissible aims being argued about on the basis of inadmissible justifications, these are non-typical cases. The very fact that Arneson (and Alan Patten, who restates Arneson’s argument) had to choose a highly non-typical case of a religion-based argument for religious tolerance to illustrate the combination of a neutral aim with non-neutral justification, suggests that—more often than not—the two will be aligned with each other. When there is a misalignment, it may be due to the fact that the “aim” is seen through the prism of the effects rather than intentions, and that what we identify as a mismatch occurs between the aims and the effects (likely or actual) of the law. In the sequence of concepts: (1) justification, (2) aim, and (3) effect; the mismatch between (2) and (3) is a more real and frequent possibility than the misalignment between (1) and (2). Under a conception of Public Reason, there is no continuity between good reasons that all reasonable people may adopt for having certain beliefs in their own lives—which they would rely upon to guide their individual course of life with the assurance that it is based on valid and wise reasons—and the good reasons to publicly press, advance, and adopt as guiding political action among individuals living in the society. This discontinuity is not necessarily puzzling: reasons in politics must be justified by special types of considerations which are not applicable in instances of individual moral reasoning about one’s individual conception of moral good. However, such discontinuity is not always self-evident. To the contrary, one might plausibly believe that a good reason is a good reason, and that a reason which should be rejected in politics should also be rejected in personal life. This section of the article considers such a challenge. One way of explaining this fact of divergence between moral reasons adopted for oneself and moral reasons which should govern our relationships with others—in the circumstances of pluralism—is by reference to Rawls’s notion of “burdens of judgment.” As Rawls explains, rational and reasonable people, in the circumstances of liberty, will come up with different judgments because of the following: (1) the evidence bearing on a case is complex and often hard to evaluate; (2) there may be a reasonable disagreement about the weight which should be accorded to particular considerations; (3) our moral concepts are often vague and indeterminate, so we may differ about interpretation of these concepts; (4) the way we assess evidence is often due to our life experiences, which are of course different; (5) there may be often different kinds of considerations on both sides of an issue and reasonable people may find it hard to decide how to assess them; and (6) social institutions often restrict the admissible values, so we often face difficulties in setting priorities among values.45 None of these sources of differences in our judgments (noting that Rawls’s list is not exhaustive)46 can be traced to any irrationality: they do not concern bias, ignorance, or selfishness. In this way, Rawls’s list is rather disorderly, as it contains sources of disagreement with varying status and significance. For instance, one may justifiably claim that the category (6) is less of an explanation than a critique of social institutions, if their design is such that they distort or screen off the relevant arguments, which can be admitted. Accordingly, the catalogue of “burdens of judgments” should not be considered as set in stone. Nonetheless, they identify many of the categories of sources of reasonable disagreement about the good. To be sure, there may be disagreement about principles of political action as well47 because Public Reason is over-determining the right course of action, i.e., there may be several courses of action which all meet the requirement of Public Reason. But this will be a different disagreement than the reasonable disagreement about comprehensive conceptions of moral good. This is because reasons for political action must appeal to what Nagel aptly labels as “a common ground of justification,”48 and more specifically, under the ideal of Public Reason, to the test of endorsability by others who are affected by the action. This indicates the discontinuity just discussed because it would be absurd to claim that one should adopt a “neutral” moral, philosophical, or religious conception to govern one’s own life. In fact, it would be equivalent to saying that one has no conception (or at least no determinate conception) regarding one’s own life. The discontinuity thesis, without using this phrase, but along the lines of disputing a proposition that we may have different sets of reasons to guide our own life and the political action, and that the latter are independent of the former, has been famously criticized by Joseph Raz. Raz found the line drawn by Rawls (and Nagel) between the two spheres to be puzzling and incoherent.50 He articulated his critique using the language of “autonomy” of political theory, the strong (and objectionable) version of which he attributed to Rawls. 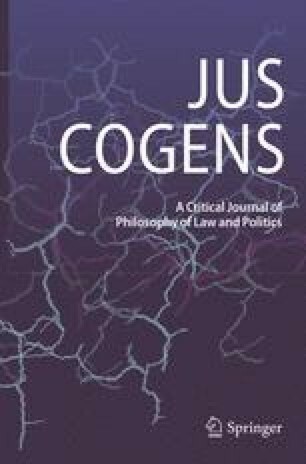 Under a weak version, political conceptions are merely species of broader moral conceptions: they are valid moral conceptions applicable to a sphere of political issues, such as distributive justice. In this way, there is no room for the “discontinuity thesis” on such a weakly autonomous notion of political theory. However, Raz ascribes to Rawls a vision of autonomy of politics in the strong sense, where validity of political moral conceptions is not dependent upon the validity of other (assumedly, personal) moral views. Raz asserts that such a strongly autonomous conception is implausible for two reasons. First, justification of political values is dependent upon their proper integration into “a comprehensive view of human well-being,”51 and second, the practical implications of any political value depend on how the conflict of that value with other, non-political, values will be resolved, and thus, their validity cannot abstract from those other, non-political, values. Neither of Raz’s “two decisive objections”52 appears to be convincing. The first, about the allegedly immanent links between political values and specific (and admittedly, controversial) conceptions of human well-being, is an assertion in search of argument. Raz does not provide any further demonstration of the validity of that assertion. Much will depend on how one understands the interdependence between political values and “comprehensive views of human well-being.” For example, if one espouses, as a strictly “political” value, a robust protection of freedom of speech, it can be questioned in what sense this it necessarily connected with an idea of human well-being. Trivially, it is nonsensical to endorse freedom of speech unless an individual believes that, down the line, it will be good for the individuals who are within the range of its benefits. But, even here, the way in which it may benefit them makes all the difference. If an individual’s endorsement of freedom of speech is founded upon the idea that it provides a necessary means of implementing a particular ideal of human perfection—and this is the only way in which one connects freedom of speech with the human well-being—then Raz’s position is correct. However, if an individual believes that freedom of speech is connected with other political values, which have only an indirect connection with human well-being, then the discontinuity thesis appears to be more plausible. For example, if an individual’s endorsement of freedom of speech is dependent upon a view that it is a necessary condition of democratic self-government, or of tolerance of people whose ideas the individual despises, then the connection of this political value (freedom of speech) with the specific ideal of human well-being is tenuous, at best. To be sure, an individual must adopt some conception of the good to confer a value on freedom of speech. This may include a conception that people’s well-being is dependent upon political democracy, or upon tolerance—but such a thin connection cannot support Raz’s proposition about the embeddedness of political values within specific conceptions of human well-being. Freedom of speech can be equally endorsed by people who have diametrically different views about the conditions of human well-being, but all can converge on the values of democracy or tolerance, and in this sense, freedom of speech remains autonomous towards, or discontinuous with, the ideas about conditions for human well-being. While the value of freedom of speech in abstracto is underwritten by an idea that respecting freedom of speech is, everything considered, good for individuals, the specific contours, limits, and justifications of freedom of speech are independent of any particular conceptions of human flourishing. They can be specified without engaging in controversies about what the best moral vision for a fulfilled individual life should be. Raz’s second point is fundamentally a matter of priority of political values vis-à-vis non-political ones, which Rawls asserts and Raz denies. In Raz’s words, “the practical implications of any value depend on whether it conflicts with other values, and if so, which of the conflicting values prevails….” Raz continues to state that while “a strongly autonomous political theory prevents us from considering its political values in the comprehensive context of a complete moral theory, it cannot yield practical conclusions. It can neither assure us that conflicts do not arise nor adjudicate when they do arise.”53 Accordingly, there are two ways, for the purpose of this particular argument, in which political values may conflict with other values. First, they may conflict with other political values. However, this cannot be embarrassing to autonomy of political theory as the conflict is within the political sphere, and there must be internal, political resource for adjudicating among those conflicts. That said, this cannot be the essence of Raz’s objection. What he depicts, as an exhibit for his thesis about non-autonomy of political theory (in a strict sense), is a conflict between a political value and a non-political value. If we assume that we have, on the one hand, a political value (for example, freedom of political speech) and on the other hand, a non-political value, which is part of a comprehensive conception of an individual’s moral good (for example, a sense of pride of belonging to a particular community), a political value, in a particular circumstance, conflicts with a non-political value. In our example, an exercise of freedom of speech threatens someone’s pride of belonging to a community that a speaker vilifies. This, it appears, is a paradigmatic example of a conflict which Raz had contemplated. Despite the above, the priority issue cannot be fatal to the autonomy of political theory, in the way that Raz claims it is. To state that, in itself, the theory cannot dictate and justify its own priority vis-à-vis other moral conceptions does not necessarily imply that political conceptions are incomprehensible, inconsistent, or incomplete, without firstly considering other, non-political values. In reference to the above example, by stating that freedom of speech (a political conception par excellence), in itself, does not reveal when and why it commands priority over other values (some of which are patently non-political) does not imply that freedom of speech is incomprehensible, or incomplete, without considering a “comprehensive context of a complete moral theory,”55 to use Raz’s words. Raz is correct in suggesting that “practical conclusions” must incorporate both political and non-political values, but the fact that we must take on board the entire spectrum of considerations when asking ourselves “what is to be done” cannot be an argument against “autonomy,” at least in the strong sense of the word, of particular subsets of our comprehensive moral landscape. To illustrate the fantastic lengths that Raz goes in rejecting the discontinuity between public morality and individual morality—and consequently claiming no autonomy of the former—it is useful to refer to his argument about a similar version of the discontinuity thesis in Nagel’s conception of liberalism. When discussing Nagel’s examples of cases in which, even if someone holds a true belief, nevertheless, one should not be (according to Nagel) pressing this belief as a basis for political action, Raz evokes the issues, inter alia, of nuclear deterrence and capital punishment. The views presented by Nagel that such public issues are to be treated in a different manner from individual morality are characterized by Raz as “especially weak arguments”, and he continues to state that: “while the morality of state-wielded nuclear deterrence or capital punishment is inevitably a matter on which the state must take a view, the state’s relation to nuclear weapons owned by private individuals or to capital punishment meted out by them is on a par with its relation to private abortions. Is it reasonable to hold that considerations which determine the morality of nuclear threats and of the death penalty should determine public policy regarding their use by the state, but should be excluded from affecting public policy regarding their use by individuals?”56 In search of establishing continuity between true beliefs founded on one’s own personal morality and reasonable beliefs guiding public coercive action, Raz constructs highly convoluted examples of a nuclear threat presented by a private individual or the threat of capital punishment inflicted privately. The former is highly unlikely in the world, as we know it, and the latter is incoherent: it is part of the very concept of “capital punishment” that it is state-inflicted. “Capital punishment” by a private individual is a bizarre synonym for a murder. Accordingly, the improbability of Raz’s examples used in his polemic with Nagel demonstrates, rather than undermines, the idea of discontinuity and autonomy of morality, which governs the public sphere. One way of refuting the very idea of Public Reason is to undermine the distinction between general discourse and advocacy, the latter being defined by its place in the chain of legal decision-making. Admittedly, the distinction is less clear when applied to a public discourse led by citizens rather than by public officials. Accordingly, it is not always articulated at the outset when we engage with each other (including via mass media) in a political discussion. On occasion, the special settings and circumstances of an argument make it clear that we are on the side of “advocacy” rather than “declaration.” But on other occasions, such clarity is not present. If the distinction between two types of discourse is undermined, then the very principle of Public Reason is also undermined. This is because extending such a requirement upon the whole field of public discourse would be unreasonable, as it would lead to an intolerable erosion of public debate if, whenever deliberating in public, we would need to exercise rigorous self-restraint against the use of controversial, philosophical, or religious reasons to substantiate one’s beliefs. But such an undermining is deeply counter-intuitive. It would commit us to a view whereby whenever we express an opinion on matters of public interest, we are engaged in a form of activism aimed at bringing about a change in this direction. This is clearly inconsistent with the experience and purpose of communicative exchanges in our social lives. The need to exercise such restraint would also impose an unbearable burden of the recognition that whatever we say in public constitutes a form of advocacy and, if this were true, we would all be constant activists. However, we so often express views and opinions where the only practical intention of such expression is to convince our audience of the existence of a particular position (and sometimes, not even that) rather than to bring about a change in the world in a direction which is consistent with our opinion. Evidently, it is neither useless nor absurd to engage in an explanation of our views about social issues without an advocacy motive. We may want others to better understand “where we come from,” but do not necessarily seek to convince them to carry out any particular action specified by our conception. In fact, rather than a sharp antinomy, there is a continuum of communicative acts, with a mere “declaration” in Rawls’s sense at one pole of the spectrum, and advocacy forming part of decision-making on the other. The requirement of appealing to public reasons intensifies as we move from the former to the latter extreme in the spectrum, and relaxes as we move towards the “declaration” end in the continuum. Such exposition of our views to that of others resonates well with Rawls’s recognition of the “benefits of the mutual knowledge of citizens’ recognizing one another’s reasonable comprehensive doctrines.”65 These benefits may be diverse and do not necessarily encompass the actual process of decision-making, as such practice may be useful in other ways than leading to a change in valid legal rules. Interestingly, immediately following Waldron’s above quoted passage, he adds: “such declarations may still fulfil a public function because fellow citizens hearing them may say, ‘Oh, you feel that strongly about it. I hadn’t realized that, for you, the matter is connected with values or premises that profound’. And this may modify how others appropriately respond to the position in civic deliberation.”66 A scenario described by Waldron is familiar: by presenting our views to others the best we can, we may affect the ways in which the others understand, respect, evaluate us, etc. Nonetheless, this is not advocacy. Accordingly, if a workable distinction between “declaration” and advocacy is a prerequisite of the plausibility of the concept of Public Reason, then the prerequisite can be convincingly established. Williams (1981), 103, emphasis added. Id, 38, emphasis in original. Williams (1981), 102. Williams, (1995), 36. John Stuart Mill, “On liberty” (1859) in Mill (1989), 96. Williams (1995), 36, emphasis added. I am grateful to Michael Sevel for the discussion of this and related points. Raz, id 38. Of course, not all second-order reasons are exclusionary, see id, 184–85. Raz (2010), 299 n. 21, emphasis in original. Darwall’s article which is the subject of Raz’s criticism in this case is “Authority and reasons: exclusionary and second-personal” (Darwall 2010). For discussion, see Sadurski (1990). A strong connection between a liberal ideal of “impartiality” (a word used in a similar fashion to neutrality) and the ideal of “public justification” (of which the ideal of Public Reason is a part) is the strong underlying feature of a classical article by Nagel (1987), 215–40. See, e.g., Quong (2011), 18. Arneson (1990), 218–19, Patten (2012), 255. This is the point made forcefully by Jeremy Waldron who endorses the idea of burdens of judgment and then extends upon the field of political disagreement (or disagreement about justice), see Waldron (1999), 112–13 and 151–53. Waldron is correct to argue that there may be reasonable disagreement about justice (or more generally, political action) but incorrect, in my view, that sources of disagreement are the same regarding the conceptions of the good and the conceptions of justice. Raz (1990). Note that Raz’s article had been published before Rawls’s (1993) appeared and addresses mainly, as far as Rawls is concerned, his two articles which had foreshadowed the book: “Justice as fairness: political not metaphysical,” (Rawls 1985) and “The idea of an overlapping consensus,” (Rawls 1987). Raz (1990), 23, reference omitted. Dryzek (2000), 169, emphasis added.